Does skate parties’ meet and greet lose its luster over time? What pulls a skater to invest their time and money on a skate party they’ve never attended? In this episode, IMSN explores these questions and take about learning from Travis’ major travel mistake and other hilarious stories! It’s My Skate Night’s Free99 skate jam! Too much sauce! Thanks to all that came out and Shake & Bake Family Fun Center for sponsoring this event.Support your local roller skating rinks! 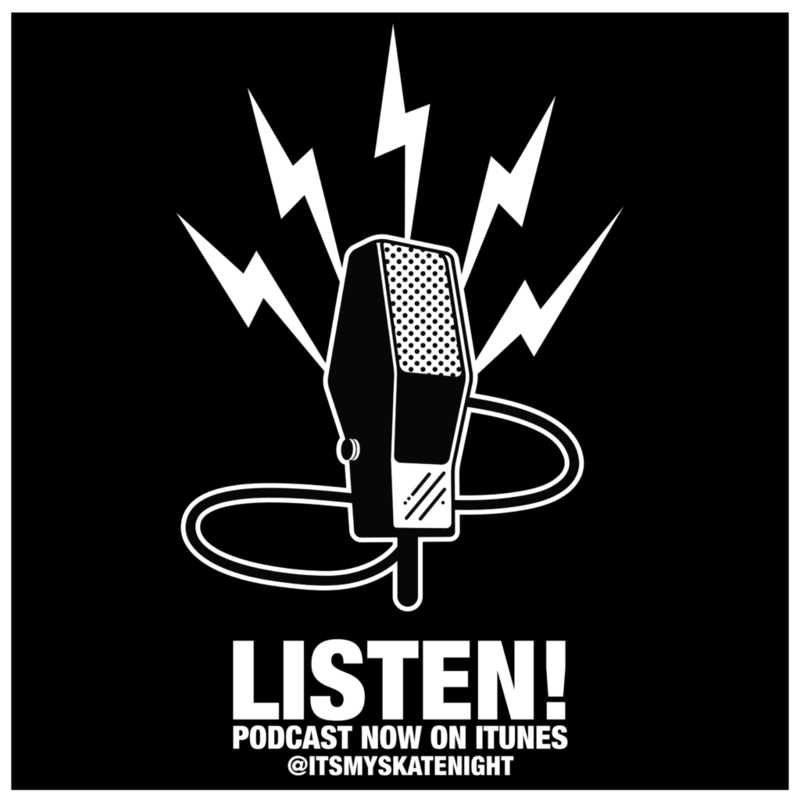 In this episode, IMSN discusses how they feel about the state of skating as it relates to fitting in their personal lives, “skate accountability partners,” Lawerence and Travis’ skate confessions, Travis’s ultimate clap-back at Glen, and more. It’s My Skate Night has had a great year! We shared a lot of memorable moments with our supporters throughout 2015 and we thank you for riding along! Here’s a brief recap of a few of IMSN’s top moments of 2015. One of the most serious events that made national news coverage in 2015 was the Baltimore Uprising following Freddie Gray’s death. This happened in our home town, blocks away from our home rink. During the aftermath, it was a proud moment to see the Baltimore skate community come together at ground zero to lift the spirits of our city in a great impromptu community building event. Ground zero of the Freddie Gray protest site. 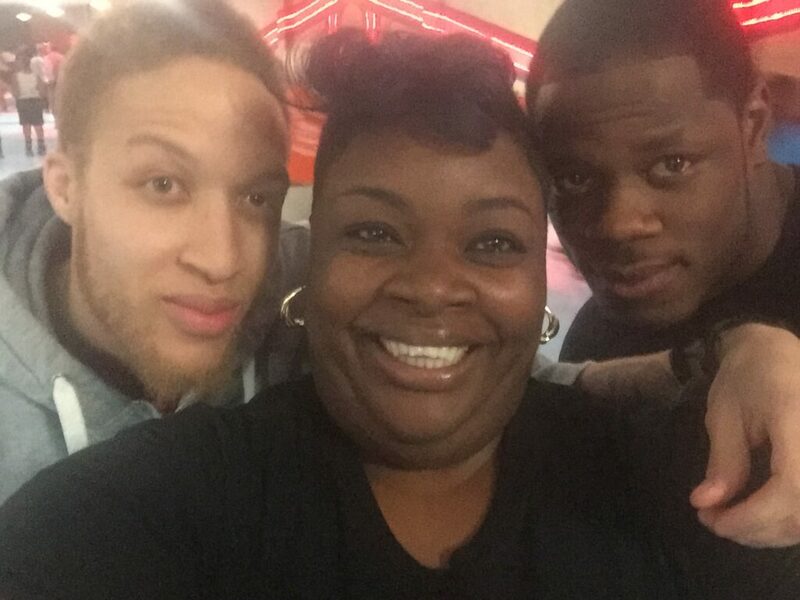 Even though we didn’t set out to get publicity we’ve been featured in the Baltimore Sun Paper and on Vice Sports (Click to read full article). It’s My Skate Night feature on Vice Sports. IMSN helped Jubilee Arts celebrate the local professional and teen artist as they unveil the Sandtown mural project. Complete with trolley tours, music, performances, and food this event was one for the books. Such great work happening in the community! (Click here to see more). Artscape Weekend (during heat wave)! 2015 marked the 2nd year we performed at Artscape – the nation’s largest free arts festival. 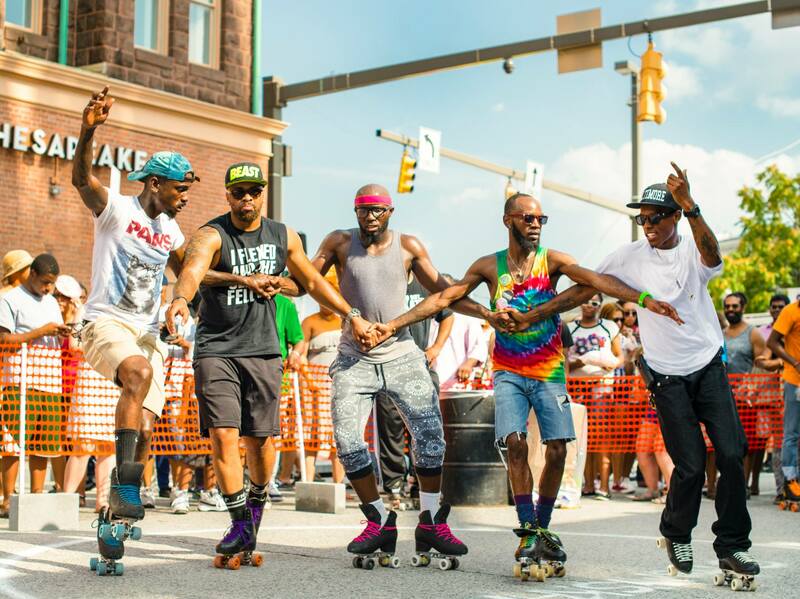 The temperatures reached well into the 90s and yet the skaters kept rolling to the live music provided by DJ JB. Kudos to all that came out and skated in oppressively humid tropical rain forest like conditions! It’s My Skate Night Skating through a heatwave at Artscape 2015. 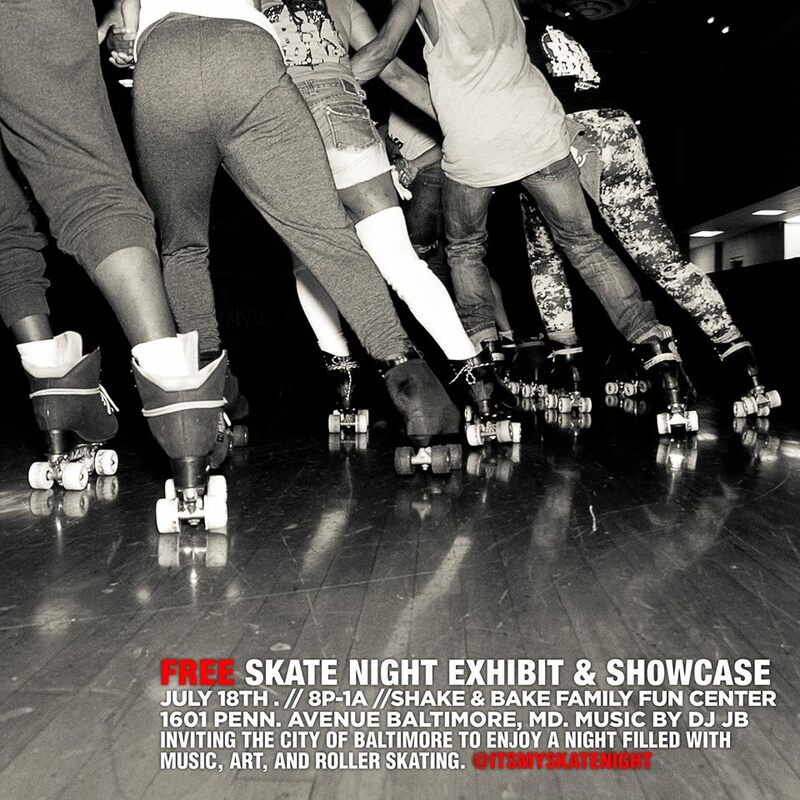 Directly after Artscape we put on a free Skate Jam and showcase for the community sponsored by The Contemporary. Thanks Harm City Roller Derby team for coming out and showing your support! 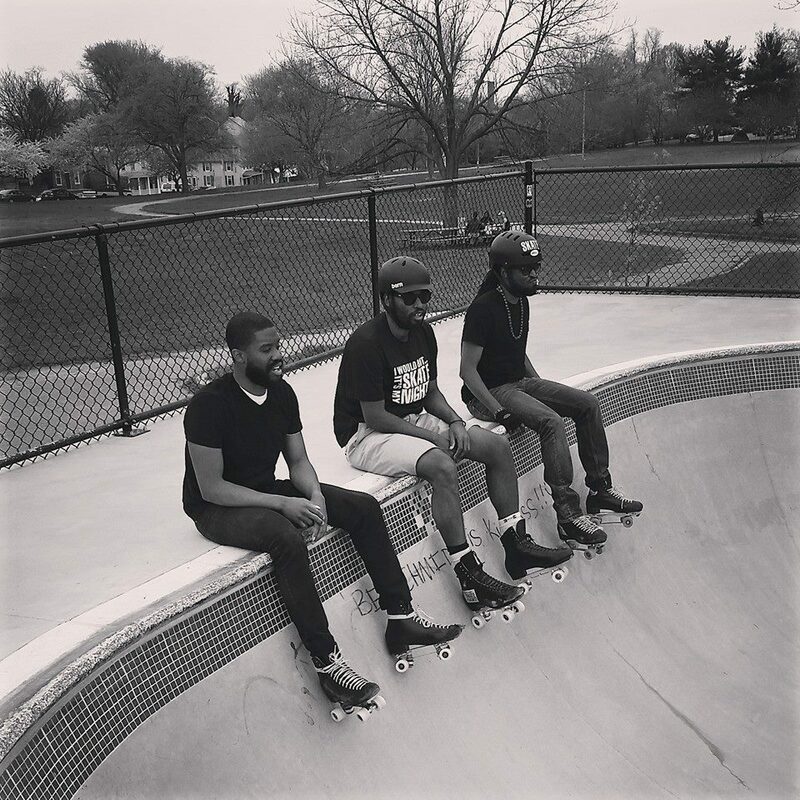 Inspired by Chicks in Bowls and stupidity, the It’s My Skate Night crew tackled the skate park in Hampden Baltimore with near disastrous results. We vow not to do it again unless the Chicks in Bowls accompany us to show us the ropes (yes, we’re calling you gals out ;-). After a two years of taking (marginally) good care of our “mascot” we found a new home for the IMSN baby doll. She’s in better hands now. Please send photos. We’d love to see her in her new home. CLICK HERE to listen to our Podcast to get the full back-story. This also marked our second year we participated in DJ Jammin’s fashion show. Lots of fun! 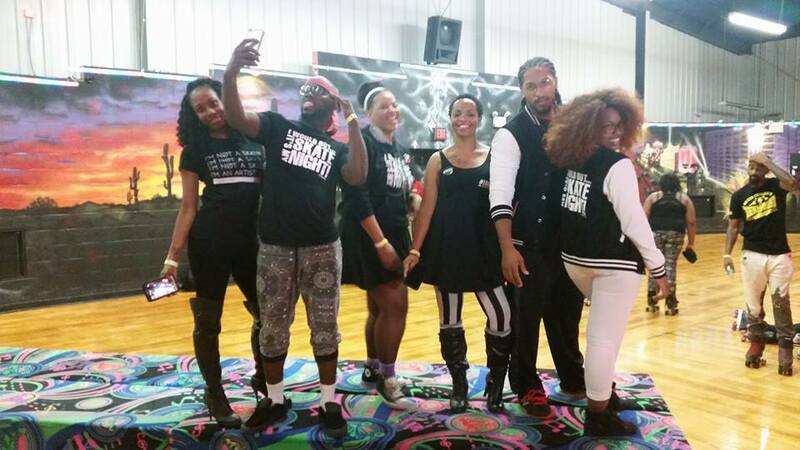 It’s My Skate Night crew posing after ripping the runway. We traveled the country to see our supporters and met countless new skaters during our travels to over 8 states this year. Maybe next year we will finally fulfill our dream of going international! We’ve been talking about this for a while and finally took it to the airwaves! So many topics to cover! We’re excite to see what we come up with next! Thank you all for your feed back and “5 star” reviews on iTunes! Podcast available on iTunes and SoundCloud. 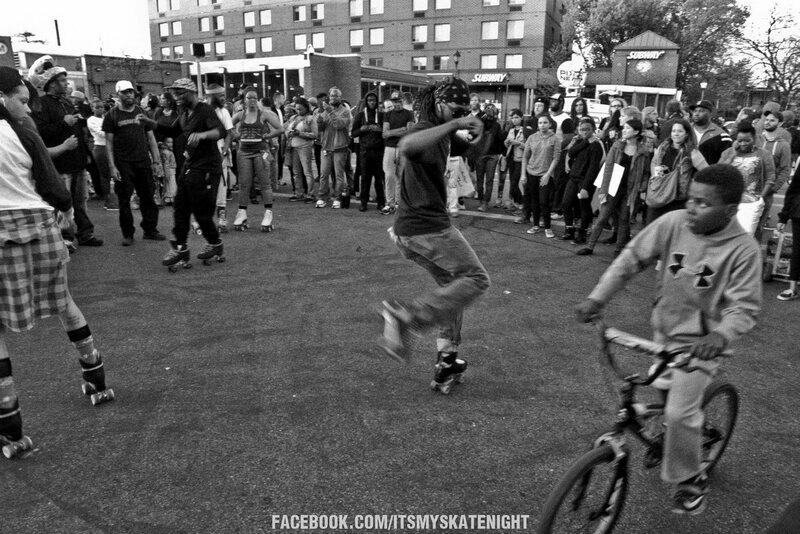 Email us your suggestions at: itsmyskatenight@gmail.com . Welp here’s to a brand spankin’ new year. Happy New Years skate fam!!! It’s a new year and a very new podcast episode! It’s My Skate Night discuss the up’s and downs of 2015 and much more. This episode we discuss the difference between a skate crews vs skate clubs/groups, what does It’s My Skate Night consider itself?, the skate culture, IMSN’s list of dos and don’ts, calling out our worst rinks and experiences, DJ drops, and a secret unboxing at the end of the episode. Welcome to the It’s My Skate Night podcast episode 2 where we get into the topics of road trips, Travis’s DJ drop fail, cold blooded skaters, and a lot more. 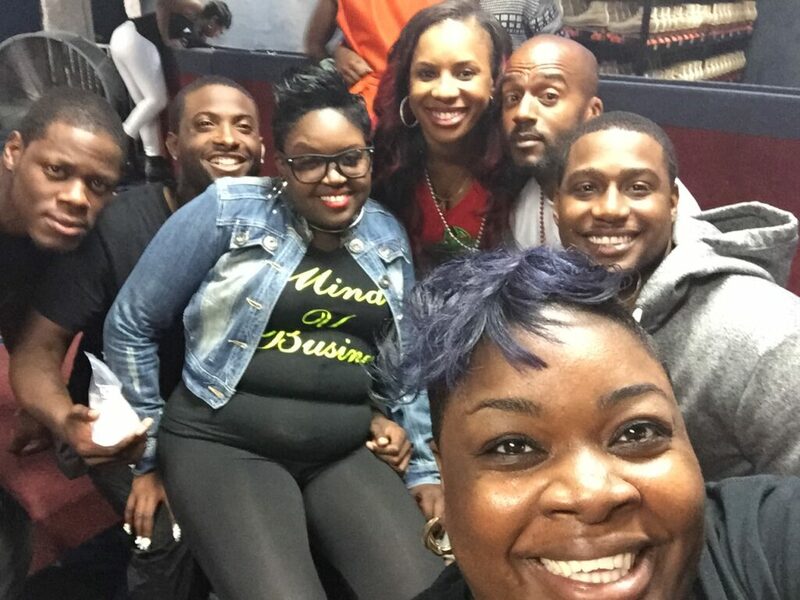 Feature the 4th wonder Jamison live from New Jersey.